“Name one important thing you learned in class today. What did you think was accomplished by the small group activity we did today? You can create an exit ticket form in Google Forms and share it with your students. You can collect and store students responses in a spreadsheet to use for later reference. Alternatively, you can create a Google document with the questions and prompts you want students to work on and share it with them. Using the commenting feature, students add comments to the document and in this way you will be able to see what each student has contributed. 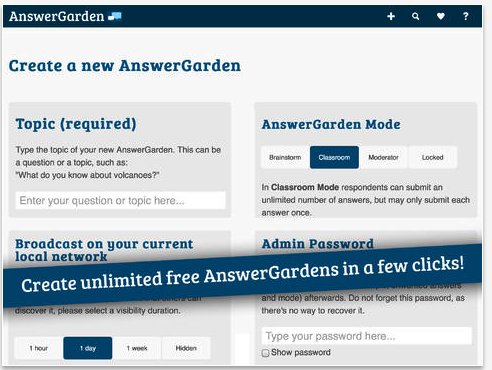 AnswerGarden is another great tool to use for collecting feedback from students. This is how it works: you type in your question in Create New AnswerGarden page. When you hit ‘submit’ you will be directed to your newly created AnswerGarden page. From there you can share your page with others or embed it in your class blog or website. Respondents will have to either enter their answers or choose from existing ones.”If you're satisfied with the results, you can for instance show the AnswerGarden to your friends, tweet about it or export it to Wordle or Tagxedo. Socrative is anther great tool for getting feedback from students. 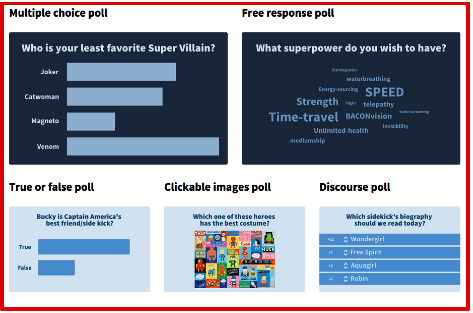 Teachers can use the different question types provided by Socrative to poll their students and garner their feedback in a variety of formats using both smartphones or computers.